Vous avez prévu de voyager avec SNCF le 30/07/2018 sur le train 8501 au départ de BORDEAUX ST JEAN et à destination de TOULOUSE MATABIAU. Nous vous informons qu’en raison d’un incendie dans un poste électrique RTE, filiale d’EDF, votre train ne circulera pas. Nous vous invitons, dans la mesure du possible, à reporter votre voyage. Pour consulter l’état des circulations en temps réel, rendez-vous sur horaires.sncf.com ou l’application mobile SNCF. En voyageant avec TGV et INTERCITES, pour tout parcours en France, vous bénéficiez de LA GARANTIE VOYAGE dont les conditions d’application spécifiques sont notamment consultables sur sncf.com. SNCF vous remercie de votre compréhension. 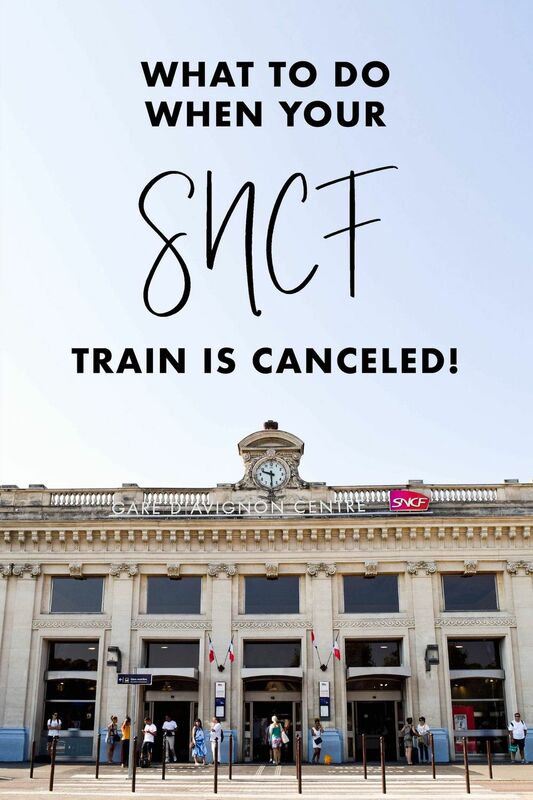 Regarding your travel booking with SNCF on 30/07/2018 on train 8501 from BORDEAUX ST JEAN to TOULOUSE MATABIAU. We regret to inform you that your train has been cancelled due to production problems. If you’ve already changed or cancelled your booking, please disregard this message. Whaaaat? Noooo. Was my first thought. Having previously lived through the French train strikes where I was forced to buy a plane ticket for a day long train ride from Biarritz to Marseille, I expected the worst. My train wasn’t canceled due to strikes, however. This train was canceled due to an electrical failure. I happened to be staying near the train station, so I headed over there to see what I could do. While the Billetterie was closed, I found an SNCF employee near a standing desk, who told me I could board any other train that day with my ticket. Great! I thought, at least I wouldn’t be stranded. But then I realized, how would I get a seat? I had reserved in first class, a solo seat, facing the direction of travel – my favorite! I typically like to write while on these trains (like I’m writing this article now), so not having a seat or having to change seats because someone gets on at a station in between, isn’t ideal. I looked up other trains to Toulouse on my phone. It seemed that the previous and next train to Bordeaux was running just fine, so I’d likely be able to get on one of those, in the worst case. The following morning, I went to the train station about one hour before the train I wanted to take would depart. There was quite a long line, despite it being 7 AM, but I took a number and waited about 25 minutes until I was helped. I overheard the woman ahead of me complaining that SNCF could not exchange her ticket and started to panic thinking I’d be in the same situation! Alas, when I spoke with the SNCF agent, she happily exchanged my ticket for the train I wanted (departing 30 minutes before my originally scheduled train), and even gave me the same style seat I had originally purchased: first class, solo seat. Head to your nearest train station to exchange the ticket. If you’re not near a train station, then arrive at least 1 hour before your intended departure so you can exchange the ticket and get another seat.